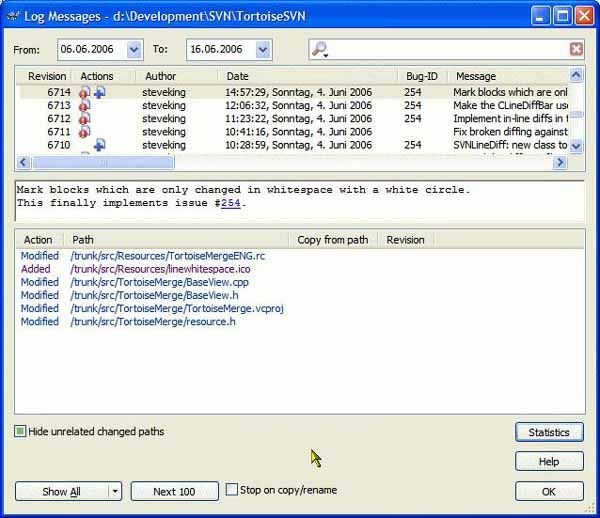 Free download TortoiseSVN latest version. It is Apache Subversion (SVN) based software for windows with easy to use revision control. You can learn more about TortoiseSVN according to its developers below. This application is open source so available free to use. TortoiseSVN is an Apache™ Subversion (SVN)® client, implemented as a Windows shell extension. It’s intuitive and easy to use, since it doesn’t require the Subversion command line client to run. And it is free to use, even in a commercial environment. Simply the coolest Interface to (Sub)Version Control! Download now the latest version of this open source application for your nice purpose.